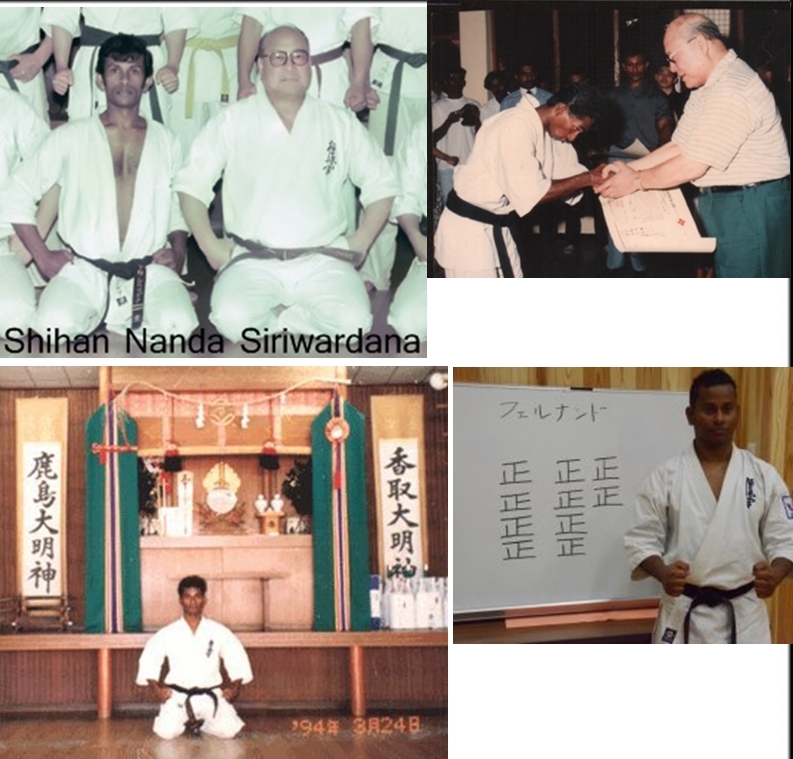 Prasanna Fernando began his Karate training in 1981 and after 2 years moved to the IKO Kyokushinkaikan Colombo main dojo in 1983 under the Instruction of Shihan T.Nanada Siriwardana.He received his 1st Dan in 1991 and received his 2nd Dan in IKO Kyokushinkaikan Honbu at Tokyo, 1994. 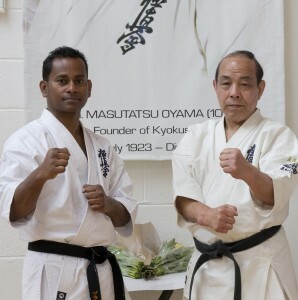 In 6th of March 1994, he travelled to Japan to train Kyokushin Karate on the invitation of the founder of Kyokushin Karate Sosai Masutatsu Oyama, participated 2nd dan examination at the Tokyo Headquarters in Japan completing 20 Men Kumite.Prasanna Fernando was one of the Last Two Sri Lankan students who received last Dan certificates from Sosai Oyama. In 1999 he served as the “Shibucho” (official representative) for the Kyokushinkaikan Sri Lanka. He competed in two World Championships in Japan and Russia and over 12 National and International Tournaments. At the Grading Test for the 3rd Dan in 2001, he competed with 50 Japanese competitors (Goju-nin Kumite- a traditional test of combat skill that entails war against one opponent after another until each bout yields a victor) event held in IKO-3 Honbu, Japan. 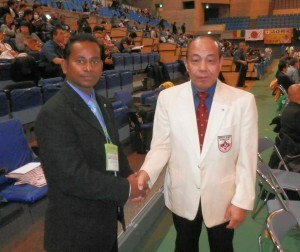 Sensei Fernando was graded to Yondan (4th Dan) by Kancho Hatsuo Royama in Japan on 21st March 2005. He also travelled extensively training and teaching Kyokushin Karate in overseas countries including Japan, India, Iran, Bahrain, Malaysia, Italy, Switzerland, Belgium, Sweden, Netherlands, Germany, Denmark and Spain. 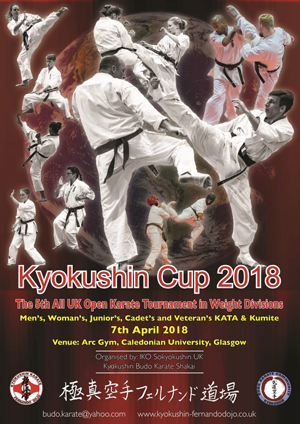 In 2011, Prasanna Fernando founded the Dojo in the Glasgow, United Kingdom and now devotes his life to training his students and has been contributing to the spread of Kyokushin Karate as the Head Instructor and Kyokushin Karate Fernando Dojo has been affiliated by International Karate Organization Kyokushinkaikan World SoKyokushin Honbu, Japan in November 2012. In 24th November 2014, he passed his 5th Dan test in So- Kyokushin Honbu Japan under the instruction of Saiko Shihan Kazuyuki Hasegawa and Prasanna Fernando proudly holds the title of Shihan. 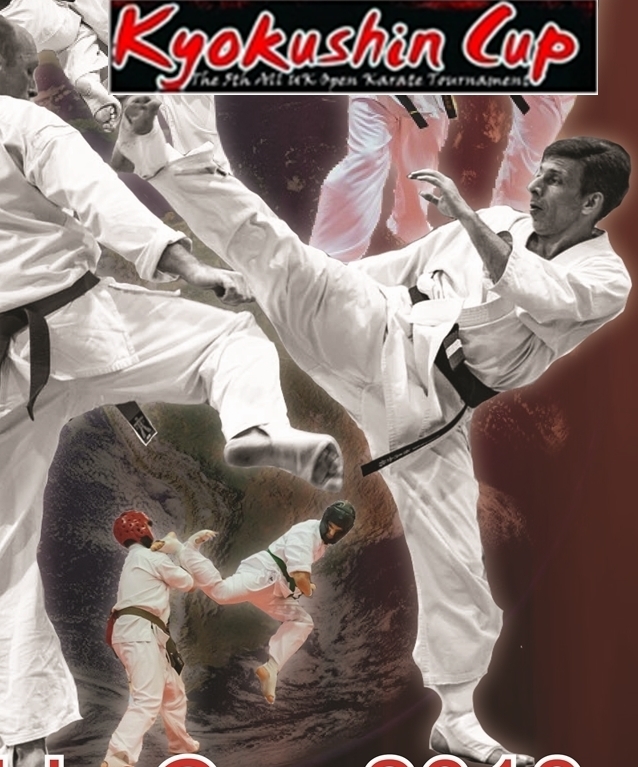 In April 2018, Shihan became independent from World Sokyokushin Japan and founded Kyokushin Budo Karate Shakai International.